Consumers expect trust worthy lubricant performance in their vehicles. Oils that comply with specific standards offer end users assurance that they have made the right choice. The International Lubricant Standardization and Approval Committee (ILSAC) issues GF- engine oil specifications to allow for improvements in fuel economy, emission system protection and engine oil robustness for gasoline engines. Oils meeting the ILSAC standard are identified by a certification mark, the ILSAC starburst. ILSAC GF, along with the API S categories, represent the primary engine standards in North America. • Engine oil robustness to provide performance levels required to protect engines in all global markets. • Increased fuel economy throughout the oil change interval. Fuel consumption remains a critical issue for automotive and oil industry customers and automotive manufacturers are facing increasingly stringent regulatory requirements. • Enhanced oil robustness for spark-ignited internal combustion engines is required to ensure acceptable engine oil performance required for regional markets (NA, Japan,Europe, etc.) due to service requirements, fuel, environment. • Formulations to help minimize the occurrence of low-speed engine pre-ignition. To improve overall vehicle fuel efficiency, automotive manufacturers are planning for increased numbers of smaller displacement, boosted intake engines which may be susceptible to LSPI. • Wear protection for various engine components including valve train components, etc. consideration of having different symbols to represent GF-6A and GF-6B. ILSAC GF-6 actually encompasses two potential specifications: GF-6A and GF-6B. The principal difference between the two categories of oils concerns viscosity grade and high temperature, high shear (HTHS) performance. GF-6B oils would provide the same performance as GF-6A, but with the added aim of lower HTHS to deliver potential further fuel economy benefits. This offers the possibility of potential GF-6B oils operating at viscosity ranges of less than 0W-20 once these new viscosity grades are defined and accepted by SAE. Enhanced oil robustness for spark-ignited internal combustion engines is required to ensure acceptable engine oil performance required for regional markets (NA, Japan, Europe, etc.) due to service requirements, fuel, environment, etc. Formulations to ensure against the occurrence of engine oil caused low-speed engine pre-ignition. To improve overall vehicle fuel efficiency, automotive manufacturers are planning for increased numbers of smaller displacement, boosted intake engines which may be susceptible to LSPI. Minimum HTHS150 of 2.6 mPa-sec. The proposed ILSAC GF-6B oils would provide the same performance as GF-6A, but with the added aim of lower HTHS to deliver potential further fuel economy benefits. 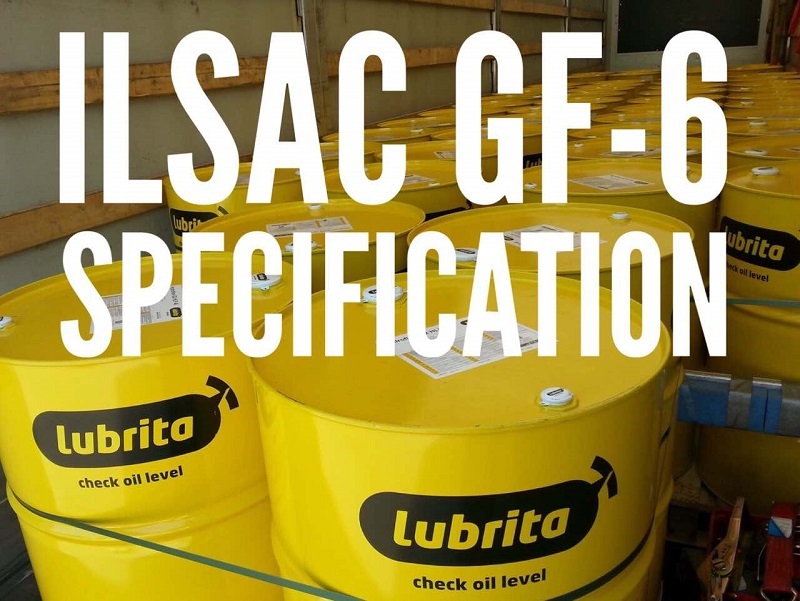 This offers the possibility of potential GF-6B oils operating at viscosity ranges of less than 0W-20 once these new viscosity grades are defined and accepted by SAE. Global Original Equipment Manufacturers (OEMs) are on the front lines in terms of responding to governmental regulations calling for greatly improved fuel efficiency and lower greenhouse gases in gasoline-fueled passenger vehicles. At the same time, engine durability, performance and reliability are of primary importance to vehicle owners and operators. As OEMs seek to accomplish these goals, hardware and emission system changes will place new demands and even greater stress on engine oils. The new GF-6 specification is being designed with these demands in mind. Additive suppliers and oil marketers will need to respond with engine oil technologies formulated to protect the engine; keeping the emissions system working at top efficiency; and deliver fuel economy. All stakeholders—OEMs, oil marketers and additives suppliers—must work together to accomplish the critical goals of durability, fuel economy and low emissions.